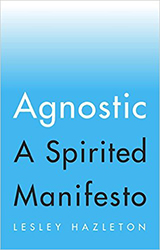 "At last, a liberating antidote to the either/or thinking of the atheist/believer debate." "One of the most anticipated books of spring 2016." "Hazleton does not deny possibilities; she denies only assured and implacable dogma." "A welcome infusion of joy in an arena preponderantly inhabited by dogmatists."